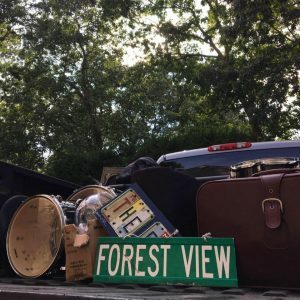 With the groove of ’70s soul, the bite of southern blues, and the coolness of alternative rock, The Forest View Movement evoke a unique sound through their reimagined take on these genres. The New Jersey-based band stopped by The Music Room this week for a live performance in the WVUD lounge and spoke to Liz about their new music, their touring experience, and their inspirations. Check out the link below to hear The Forest View Movement’s live performance and interview in the WVUD lounge. The Forest View Movement, recorded live November 3, 2017.